A chic plaited fine bangle from Estella Bartlett. 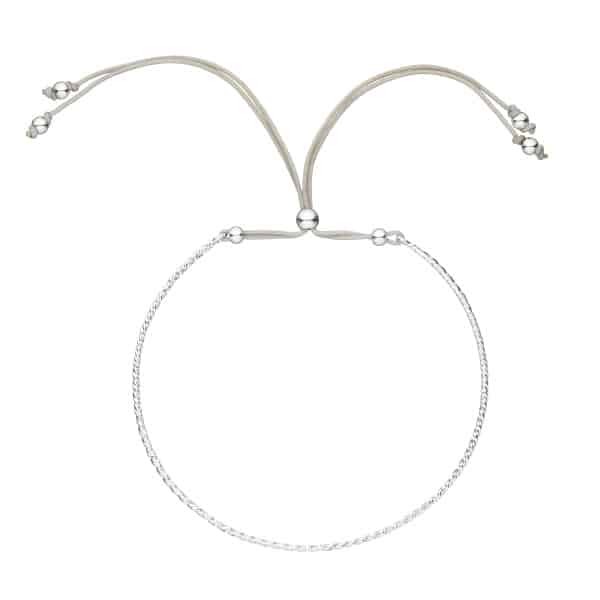 Part bangle and part friendship bracelet. Very easy to wear due to the adjustable fastening. Beautifully packaged in a branded Estella Bartlett gift envelope for you to personalise with your own message. Estella Bartlett is a British Jewellery Brand originating in 2011. The Jewellery is delicate and beautiful. This piece incorpoates high quality Silver Plating. To maintain the jewellery in its best condition follow the guidelines below. Keep jewellery dry, dont wear in the bath, shower, swimming pools or sea. Be careful with fragrance. Apply lotions and sprays prior to wearing. Limit exposure to direct sunlight. Store Jewellery in a cool, dry place.